(b. 1950) – poet, critic and historian of literature, media expert, translator, professor at the Institute of Journalism and Social Communication at the University of Wrocław. Member of the jury of the Nike Literary Award and the Angelus Central European Literature Award, editor-in-chief of the Biblioteka Narodowa (National Library) series. 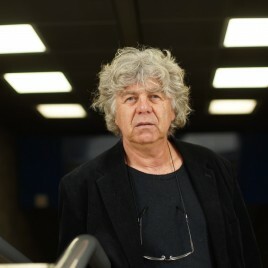 Author of documentaries (including Biały brat Papuasów, Ciało kamienia and Wydaj to sam) and TV programmes. He has authored 27 books devoted to writers and literature – including Rozmowy ze Stanisławem Lemem, Pół wieku czyśćca. Rozmowy z Tadeuszem Konwickim (under pen-name Stanisław Nowicki) and Ostatnia wileńska plejada. Szkice o poezji kręgu Żagarów. In 2016 his book Gajcy. W pierścieniu śmierci saw print.